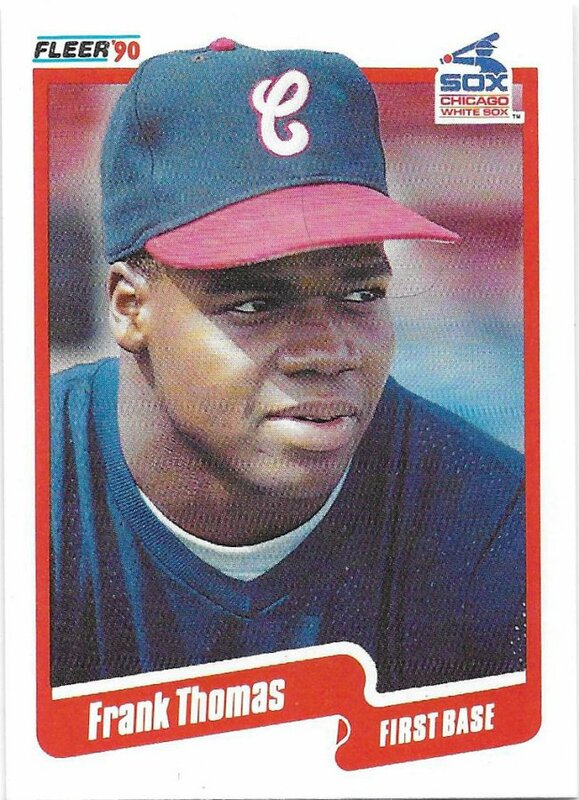 I teased this before in my June ebay rundown, but I happened to stumble across a nice Frank Thomas lot in one of my random, non-saved searches. It was one of those unique situations where the seller wasn’t very experienced and the title and description was very vague. 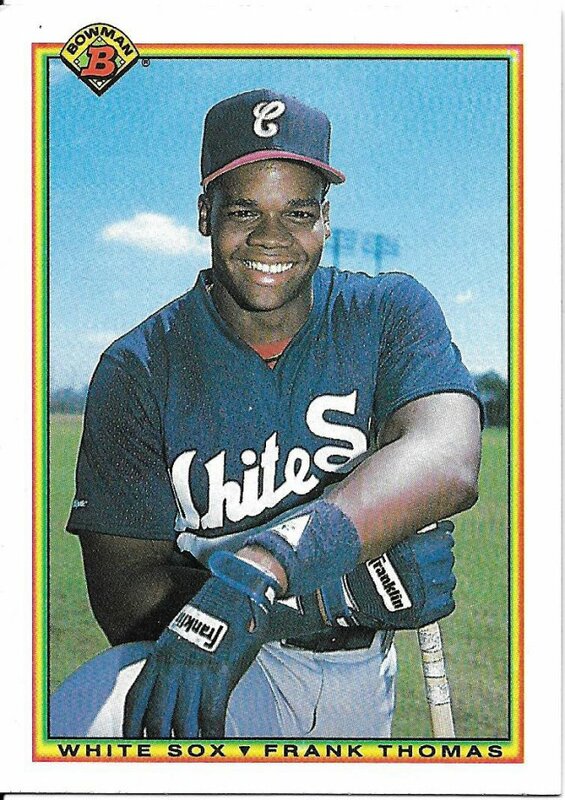 The title was “1990 Frank Thomas Leaf autograph rookie lot” which didn’t really tell the whole story. Anyway, I think I got a decent price on it all, considering what was in it. Let’s take a look, shall we. 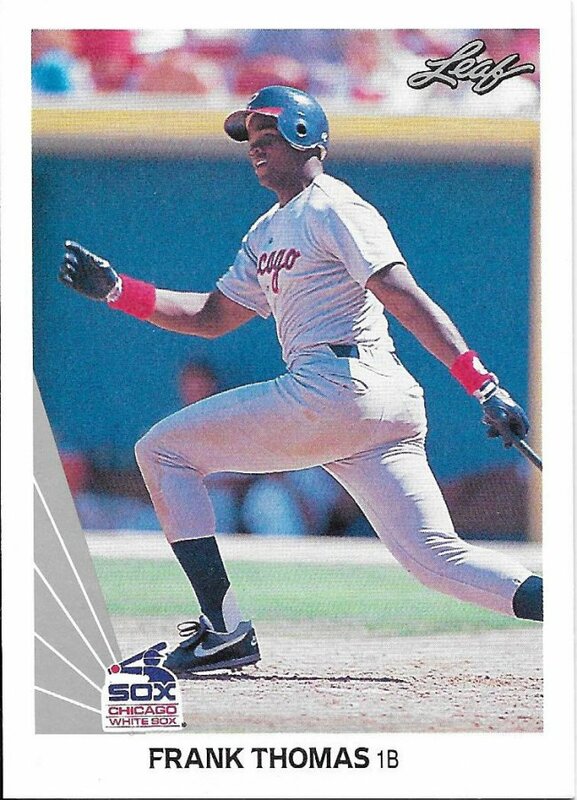 So, to start, not all of the cards were from 1990. 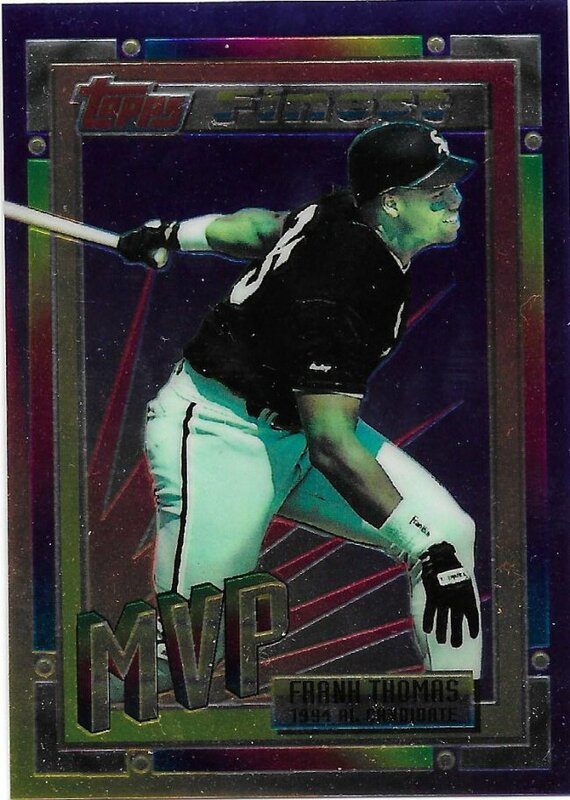 Here’s a 1994 Traded Finest. I don’t know if the colors just washed out from time, or if they were printed poorly from the outset. I don’t know how this person formed their collection, but these random cards don’t fit the rest of the lot. Nice to have since I didn’t before, though. Here’s the last random before we get into what was expected. 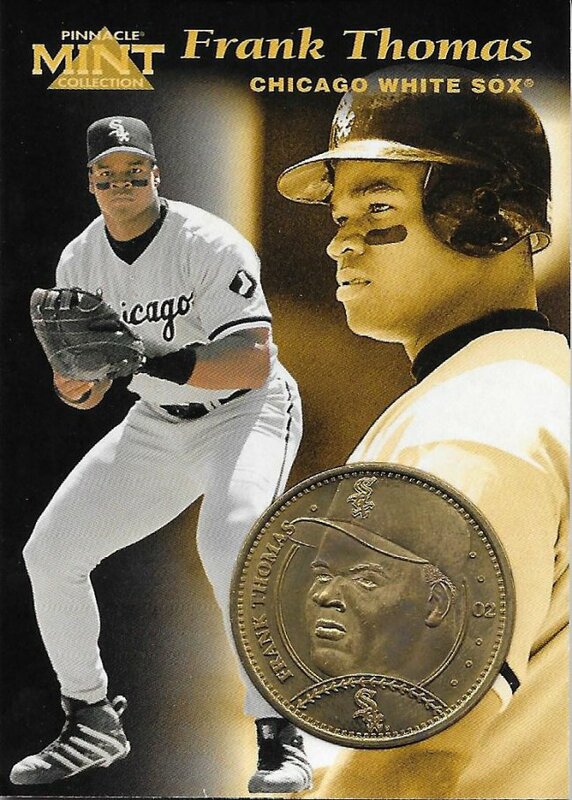 A Pinnacle Mint card that has the punchout big enough for the coin that’s already embedded. Bronze coin, in case you were wondering, but you probably assumed. Okay, now we get into the rookies. There were a couple others that I already had and posted, such as the Score Traded and Topps RCs, but this Bowman was new. 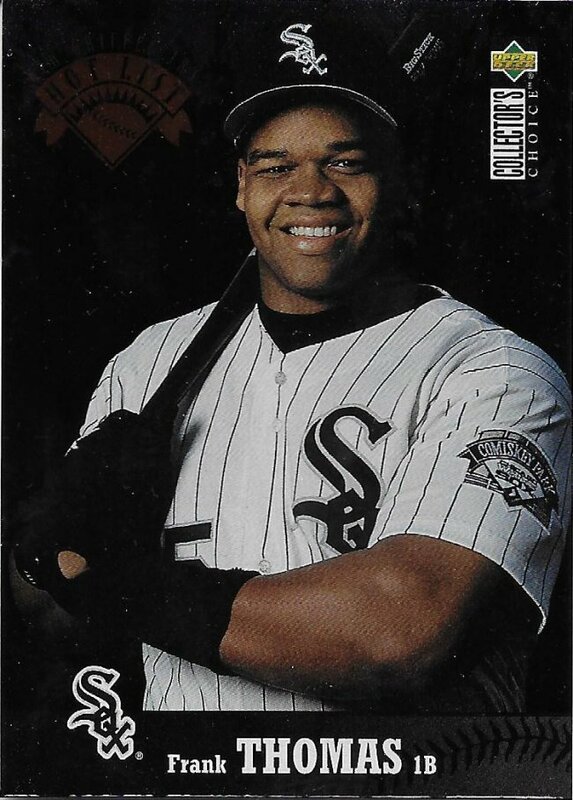 How about a Fleer Update rookie as well? Not as prestigious as some of the others, but still necessary, and still a rookie card I wanted. That autograph had to come up sometime. I’m surprised it wasn’t mentioned more prominently, or even sold separately. I think I won the lot for less than what this card 2014 Tek auto typically goes for. And yet, there was still one more card. If you were paying attention, you’d know that this was coming. I finally have a 1990 Leaf rookie card of my own. I had started to scout this one a little bit and it’s not a super cheap card. It’s not terribly expensive, but not cheap. Anyway, this is a super sharp card. I wasn’t expecting it to be in such good condition, to be honest. I thought I’d get a good auto and a placeholder for the second most sought after RC. Nope, this is pristine, and a result of pure luck.